Last Thursday, March 24, marked the conclusion of the 2016 General Assembly (also known as sine die). First and foremost, we want to express our sincere gratitude to everyone who participated during this legislative session by following these important water bills, contacting your representatives, and urging your friends to do the same. 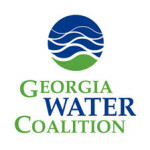 With your help, and the help of our partner organizations in the Georgia Water Coalition, we won several victories for water in Georgia although it’s clear we have much more to accomplish. For now, let’s skip over everything that did not survive Crossover Day. CLICK HERE for our full scorecard on bills affected by Crossover Day (including HB 966 that would have fixed the Erosion & Sedimentation Act so that stream buffers could be consistently applied on all state waters). Of the remaining bills, we’ll start with the ones that passed both chambers and now await Governor Nathan Deal’s signature. In the next 40 days, Governor Deal can either sign these bills into law, veto them, or take no action. If Governor Deal elects to take no action on a bill, it becomes law 40 days after passage. Late in the evening on Tuesday, March 22, the House voted to accept the Senate’s changes to HB 1036. HB 1036 will enact a temporary moratorium on the use of eminent domain for the construction of petroleum pipelines so that a commission of elected officials and field experts can conduct a detailed study to ensure the exercise of eminent domain and environmental permitting are carried out in a prudent and responsible manner. Last minute changes to the bill will allow Kinder Morgan and the like to apply for environmental permits during the moratorium although they still cannot utilize eminent domain. HB 1028, the “Leaky Landfill Bill,” will require owners or operators of municipal solid waste landfills to notify local city and county governments of any significant release within 14 days. The House unanimously accepted the Senate’s changes late in the evening on Tuesday, March 22. SB 346 will exempt GDOT and local government projects from Georgia Environmental Policy Act (GEPA) review if they are state funded and under $100 million. GEPA is meant to protect natural and cultural resources by requiring alternatives analysis and consideration of impacts and ways to mitigate that the Erosion & Sedimentation Act does not. The Georgia Water Coalition considers this bill a roll-back of environmental protections. Unfortunately, it was accepted by the Senate late in the evening on Thursday, March 24. Senate Resolution 954 is part of an annual process granting easements on state property to corporations and state agencies for the purpose of construction, operation, and maintenance of facilities, utilities, and roads. While the resolution contained numerous easements for beneficial improvements, a section was added before the House’s consideration that would have granted easements for Spectra’s proposed Sabal Trail natural gas pipeline. 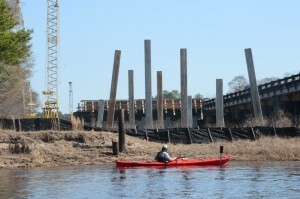 These easements would have cut underneath six state waters (specifically the Chattahoochee River, Hannahatchee Creek, the Flint River, two crossings under the Ochlockonee River and the Withlacoochee River). 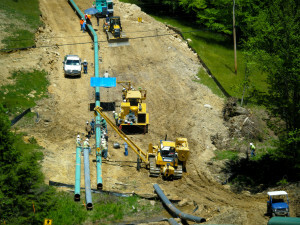 Spectra’s proposed Sabal Trail pipeline would travel from Alabama to Florida, providing no benefits for Georgia, and threatening Georgia’s air, water, and several communities along the way. The House overwhelmingly rejected this version of SR 954, then amended the resolution to remove the Sabal Trail easements before accepting it unanimously on sine die. Now let’s take a look at a bill that did not survive sine die. 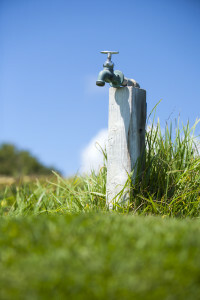 SB 36, the Underground Water Supply Protection Act, would have required the Department of Natural Resources to write rules to protect Georgia’s groundwater. These rules would have fixed gaps in current laws that do not fully protect the quality of groundwater that many families use as their primary drinking water source in addition to the countless businesses and farmers that also rely on pristine groundwater. SB 36 passed the Senate in 2015 with tremendous support but was stalled in the House Natural Resources and Environment committee. Rep. Lynn Smith, the chair of this committee, opted instead to draft HR 1198 that merely encourages DNR to look at their current practices rather than requiring them to create rules to protect groundwater. SB 36 did not survive sine die and marks a tremendous loss for comprehensive water protection that would have benefited families, industry, and agriculture. 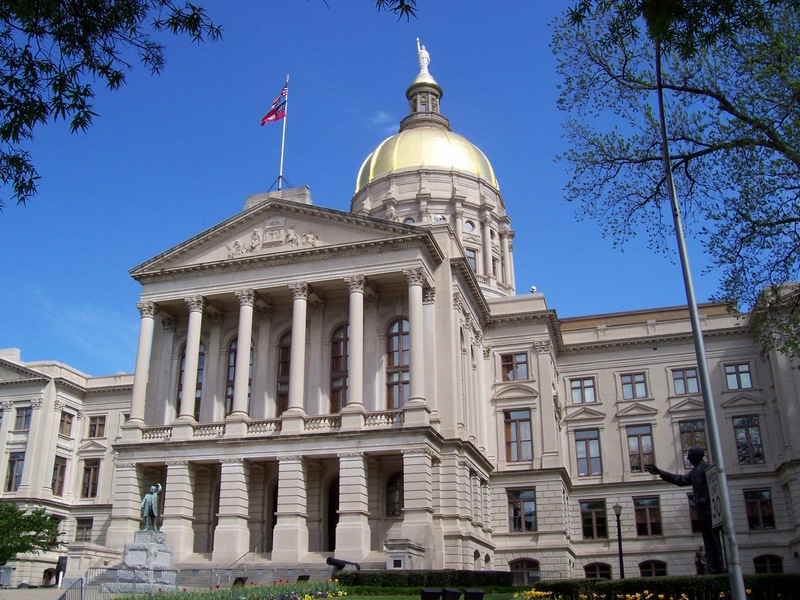 For more details on any of these bills, check out the Atlanta Journal Constitution’s “Georgia Legislative Navigator” tool HERE.